More than 9,500 vehicles of 2016 and 2018 models have been recalled in the UAE by different automobile manufacturers due to technical defects, including risk of fire in some models. Al-Futtaim Motors, distributor of Toyota vehicles in the UAE, has recalled 9,332 Hilux and 41 Prius vehicles of 2016 manufacturing year due to airbag problems. "The subject vehicles are equipped with an airbag system containing pressure sensors and/or G sensors aimed at detecting the impact on the vehicle. There is a possibility that insulation layers inside the sensors could peel over time, causing the airbag warning light to illuminate. Furthermore, the side/curtain shield airbags and/or front airbags, could become deactivated which could increase the risk of injury in the event of a crash," the company said in a statement to Khaleej Times. 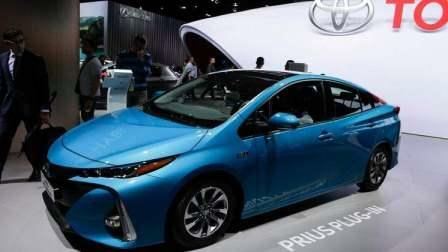 Toyota distributor said it is contacting customers with affected models to arrange service bookings. In January, the company recalled more than 700,000 units due to safety bag issue. Al Tayer Motors and Premier Motors, distributors of Land Rover in the UAE, have recalled 11 Discovery Sports, 102 Evoque and 52 Velar vehicles for fuel rail replacement. The company said in a statement that these models have brazing of the fuel rail end caps is inconsistent and may not be to design specification, thereby, incorrectly sealing the fuel rail ends. "Fuel vapour and liquid fuel leaks can occur over time due to which fuel can leak into the engine bay. Drivers may notice fuel odour and may observe liquid fuel if the bonnet is lifted. Should leaking fuel come into contact with a sufficiently hot surface, there is an increased risk of fire," said the statement. Both the distributors said they would contact customers to inform them about the recall.